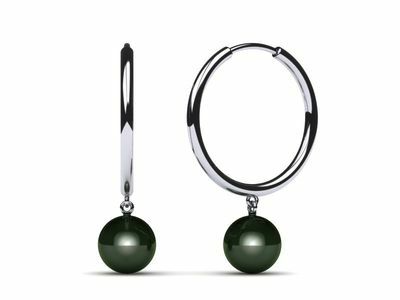 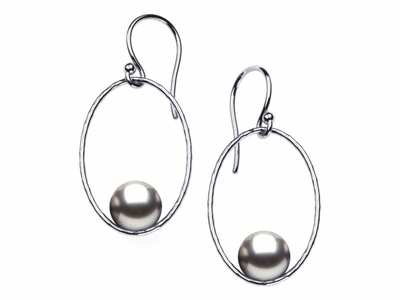 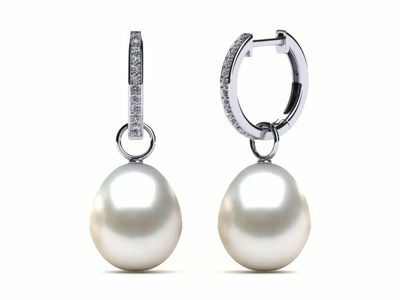 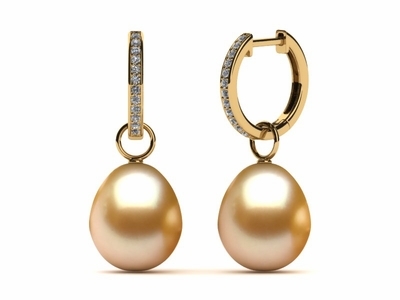 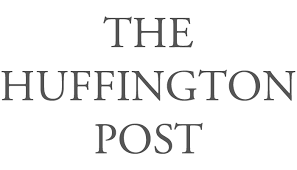 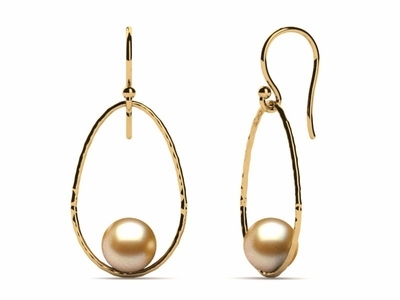 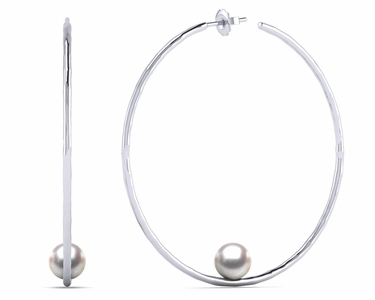 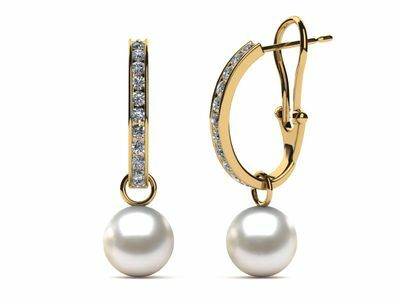 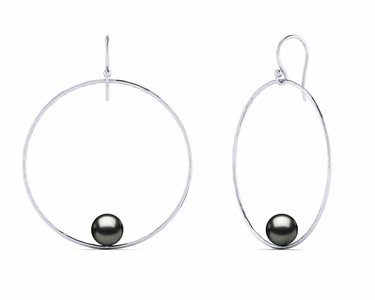 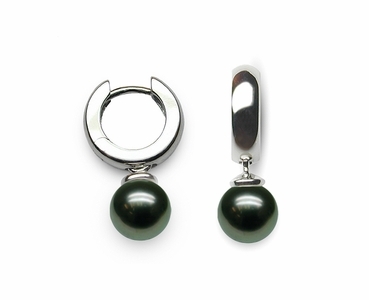 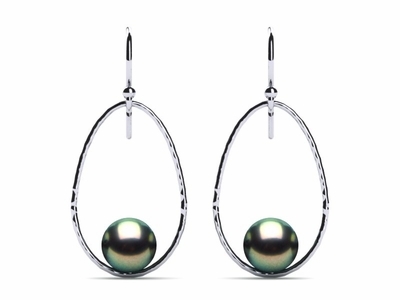 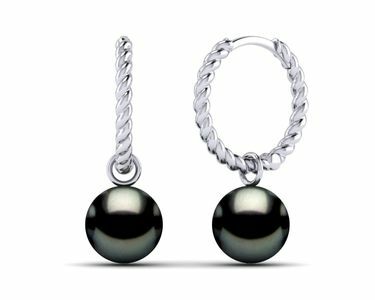 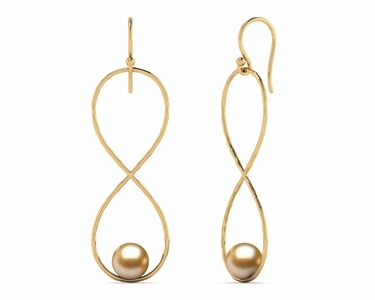 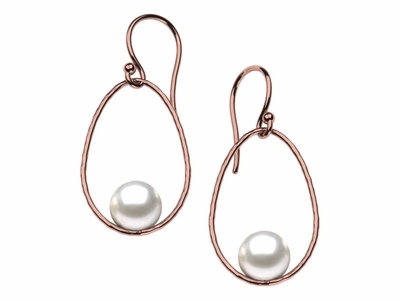 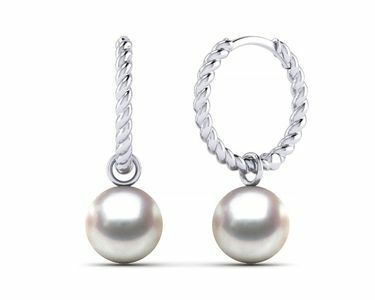 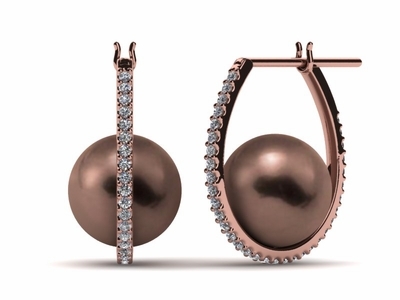 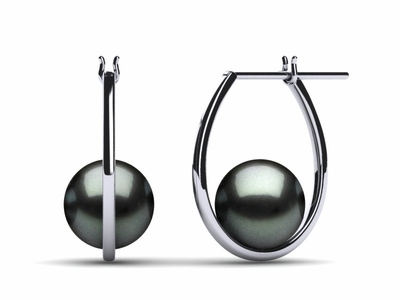 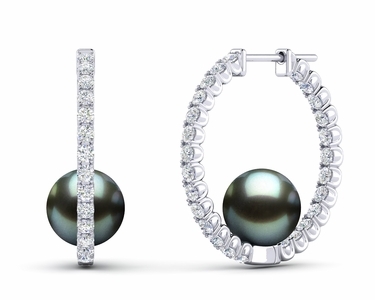 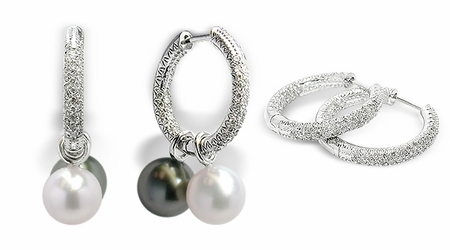 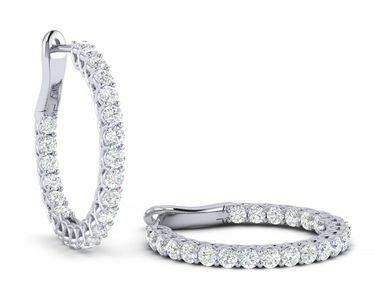 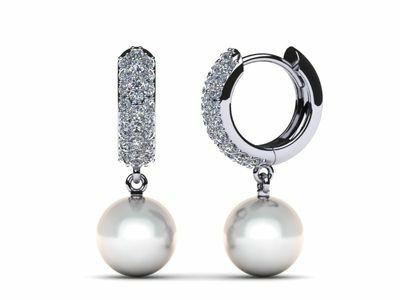 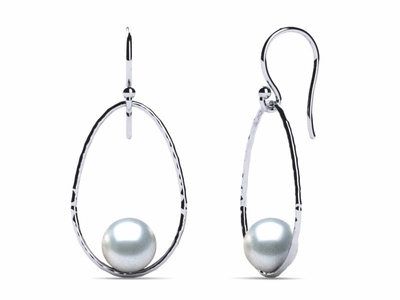 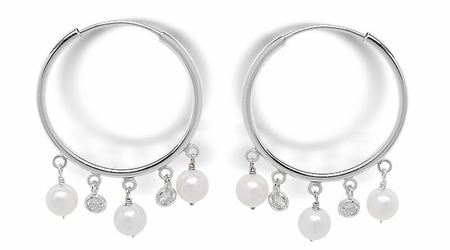 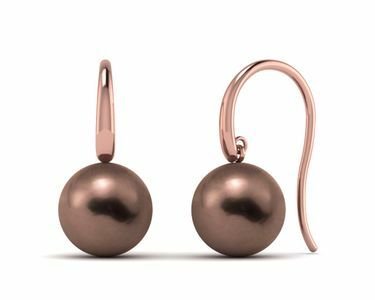 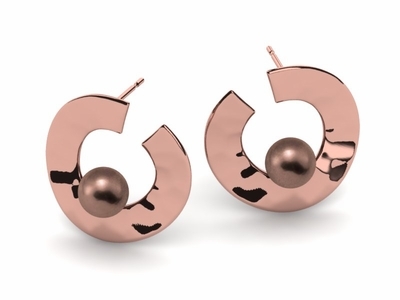 This earring design is the very fashionable and popular Hoop Earring. 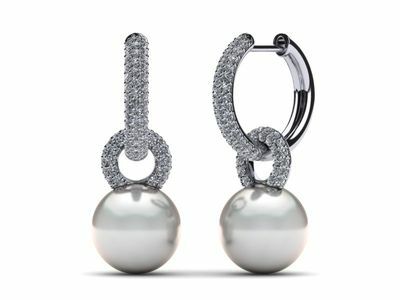 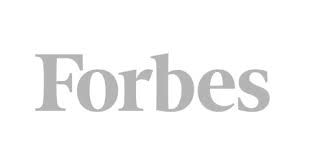 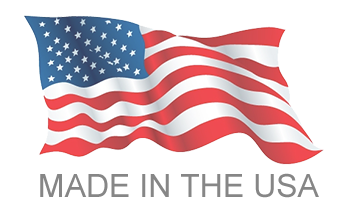 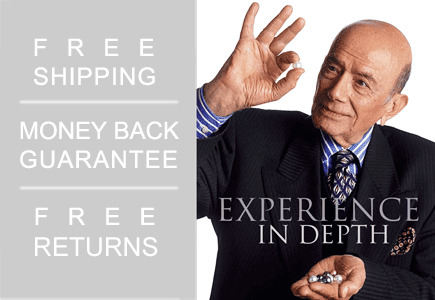 Offering a simple, casual open airy look that very easily combines the finest craftsmanship and style to accessorize the latest fashion trends which present themselves by the top designers in the world. 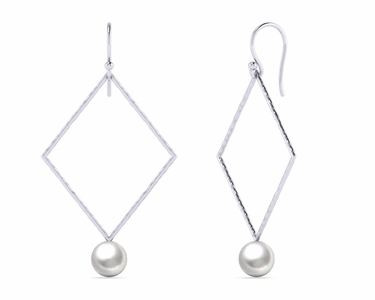 Choosing the right design completes an outfit and is sure to complement the wearer's look! 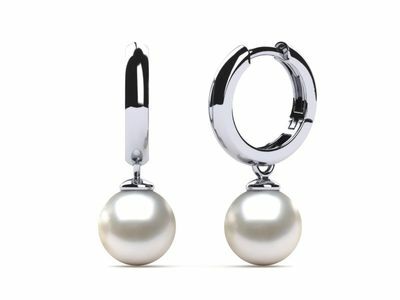 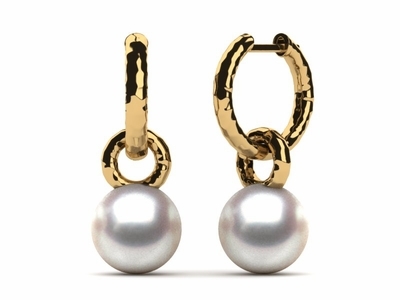 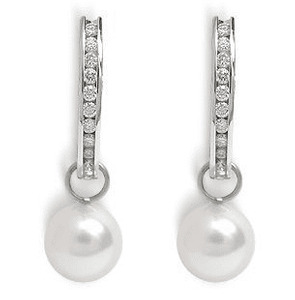 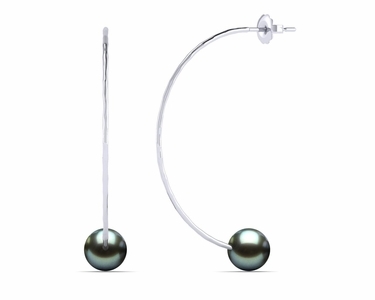 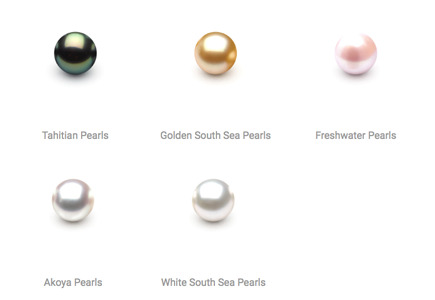 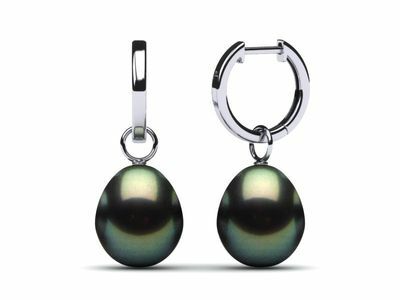 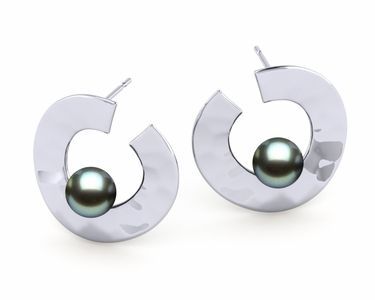 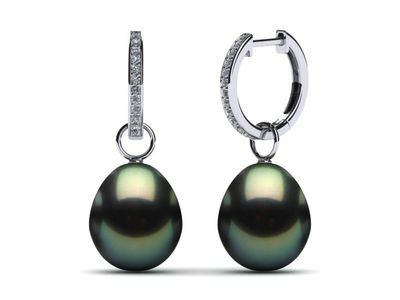 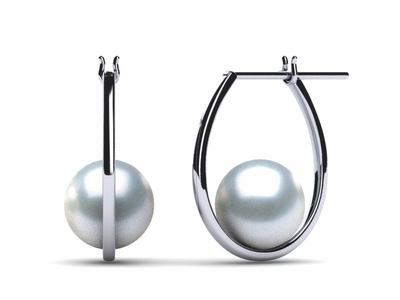 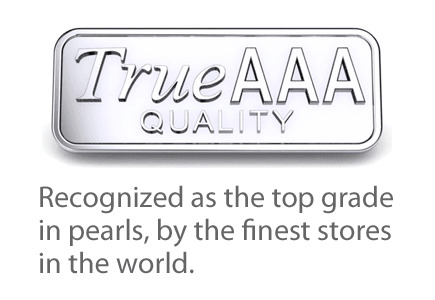 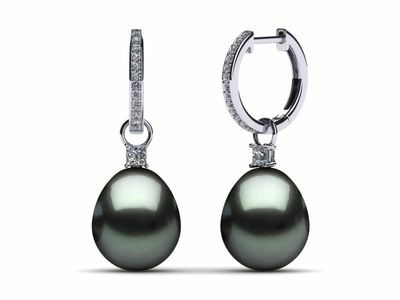 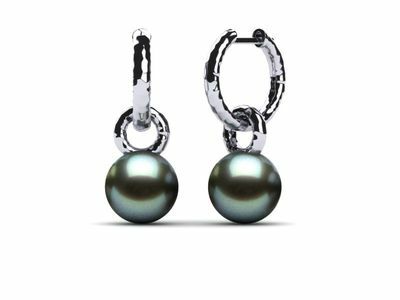 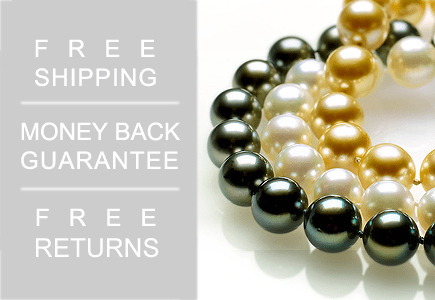 White South Sea Pearl Large Huggie Earring .55 carats t.d.w.